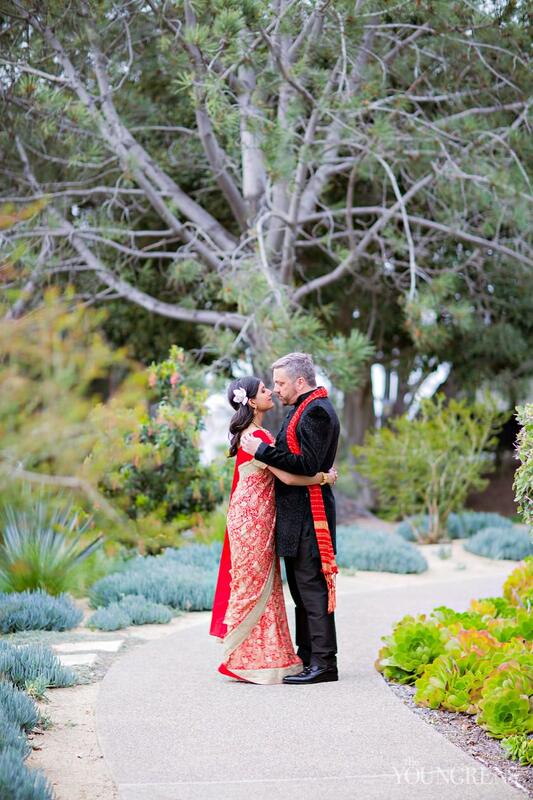 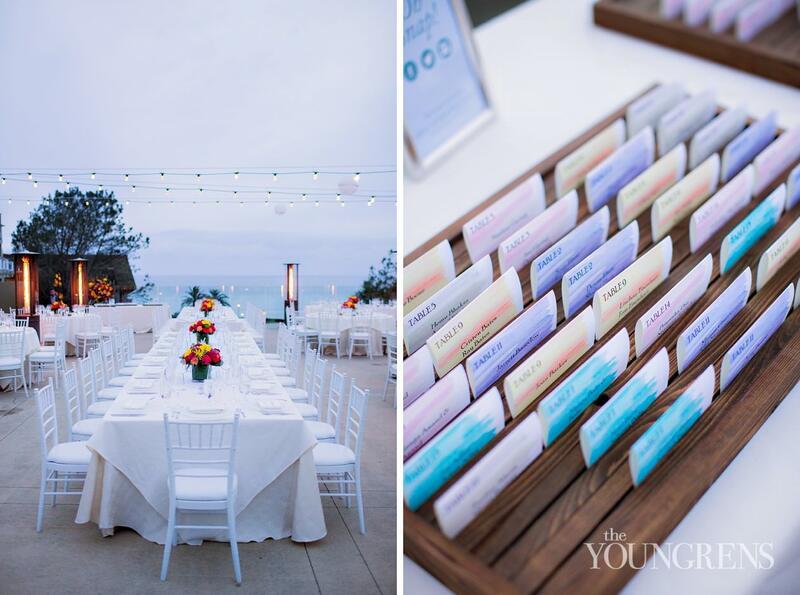 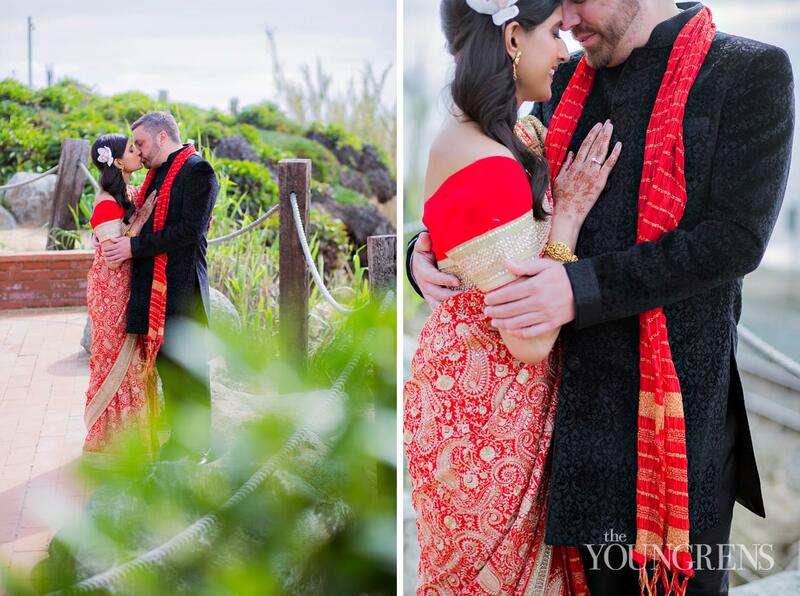 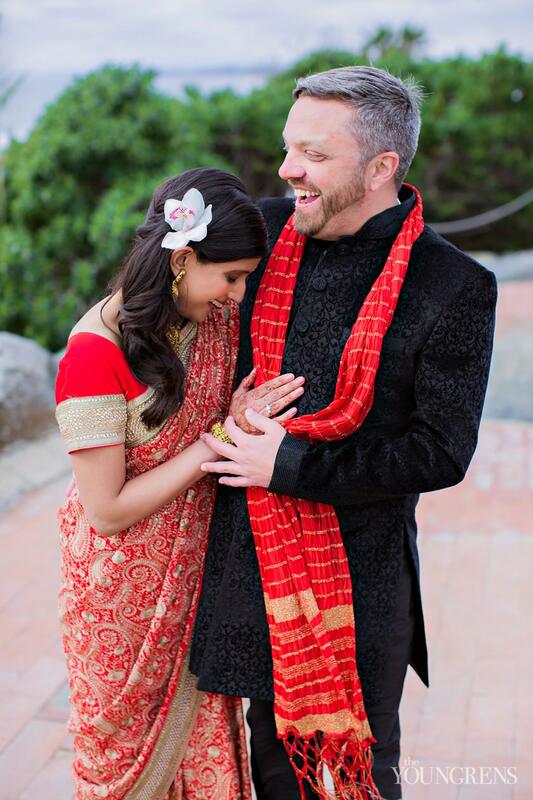 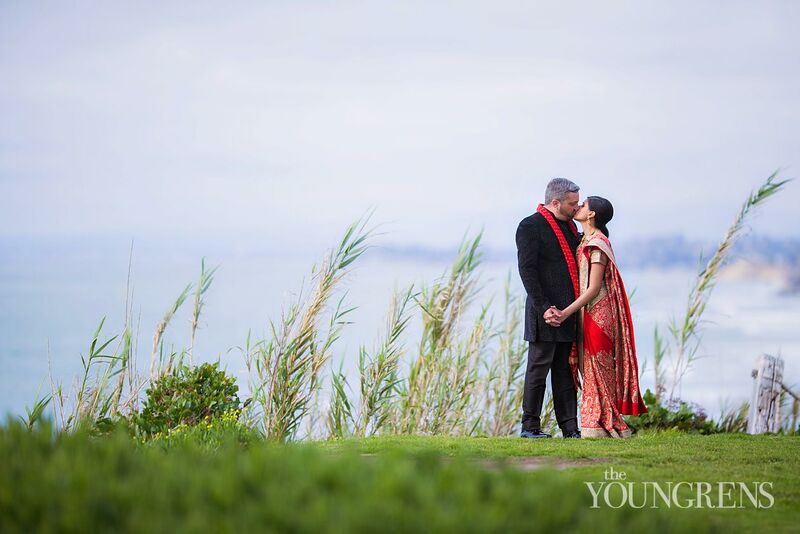 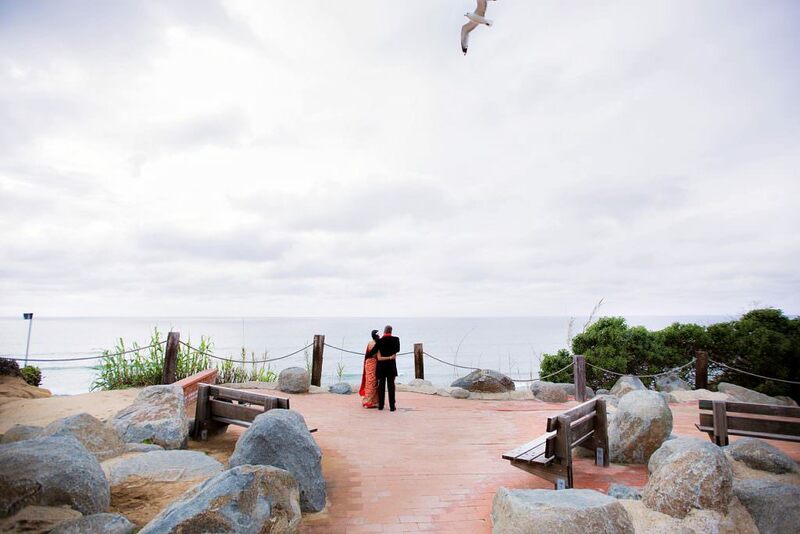 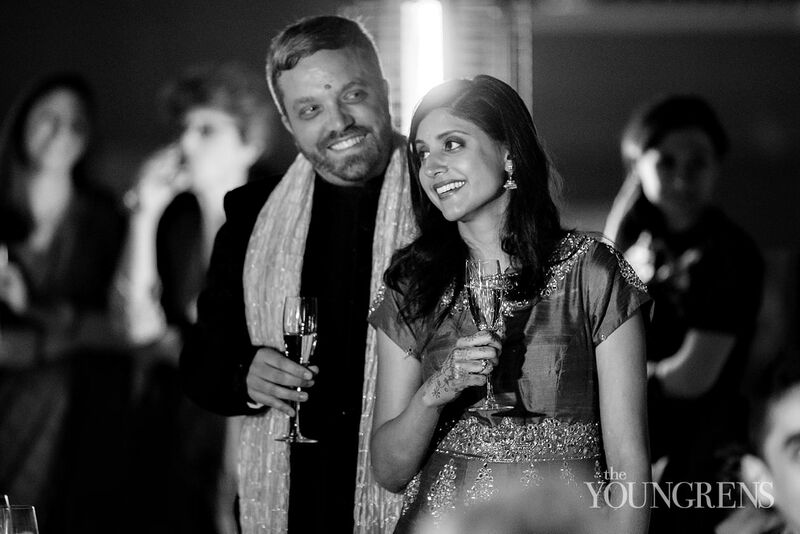 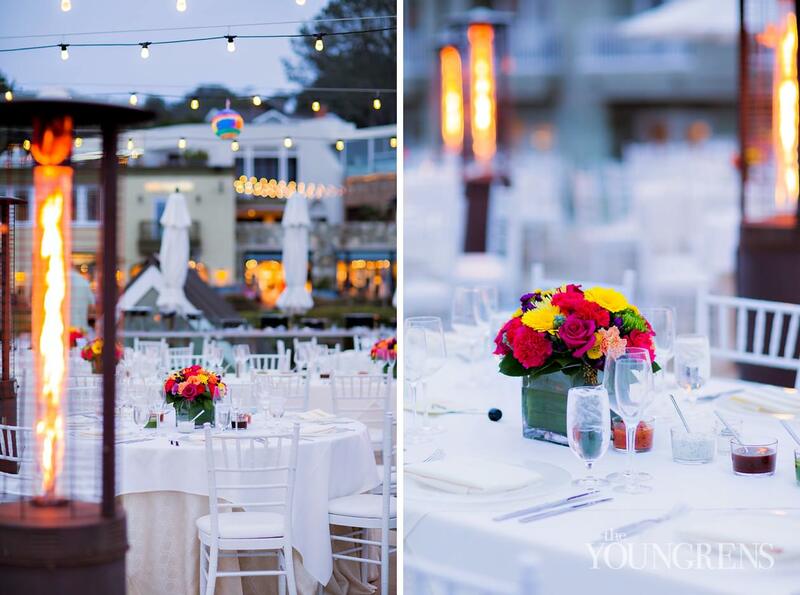 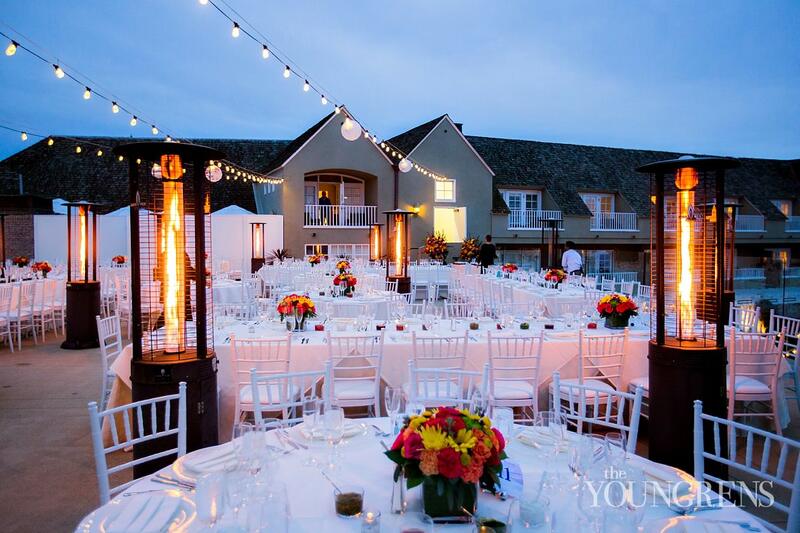 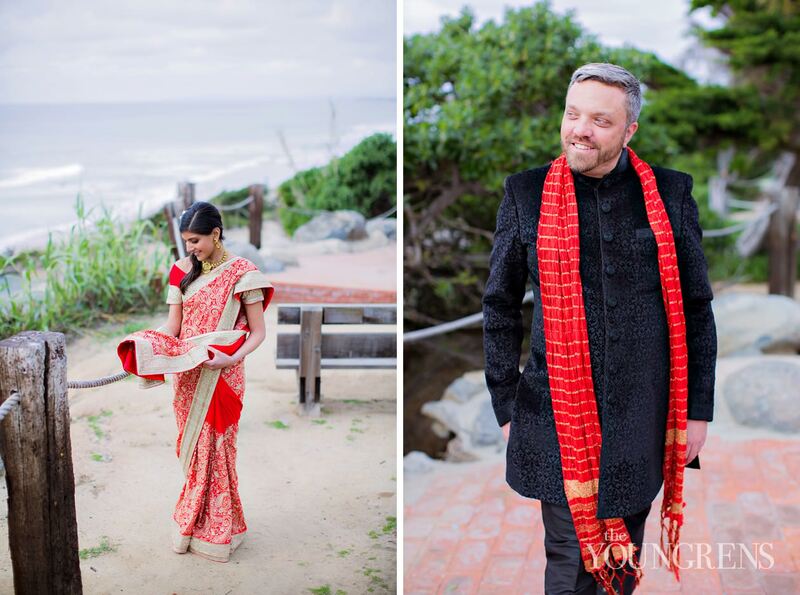 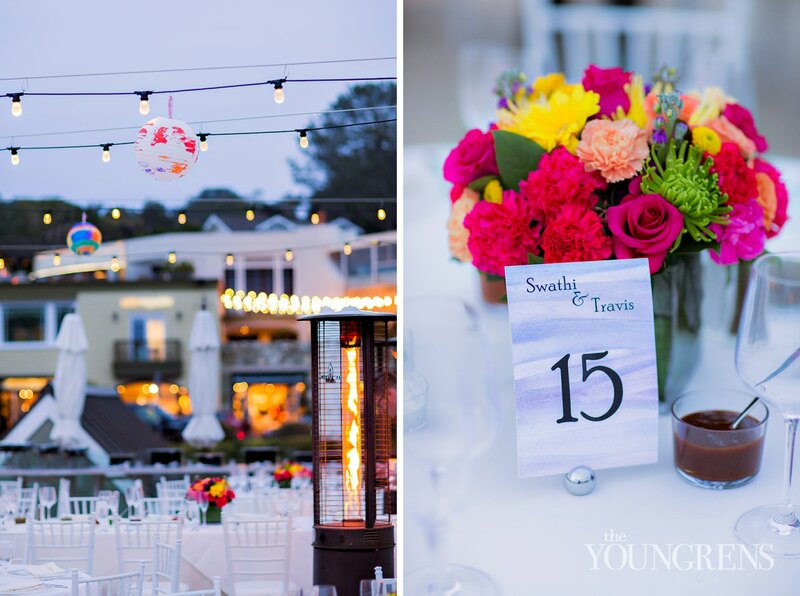 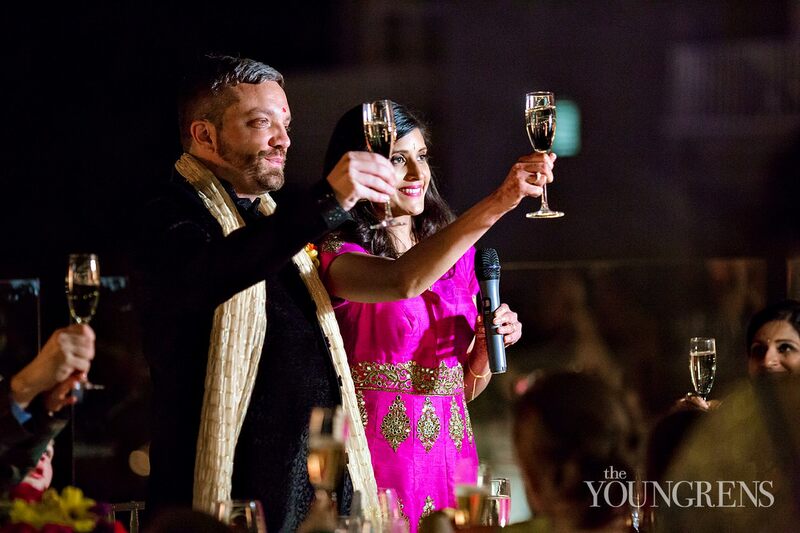 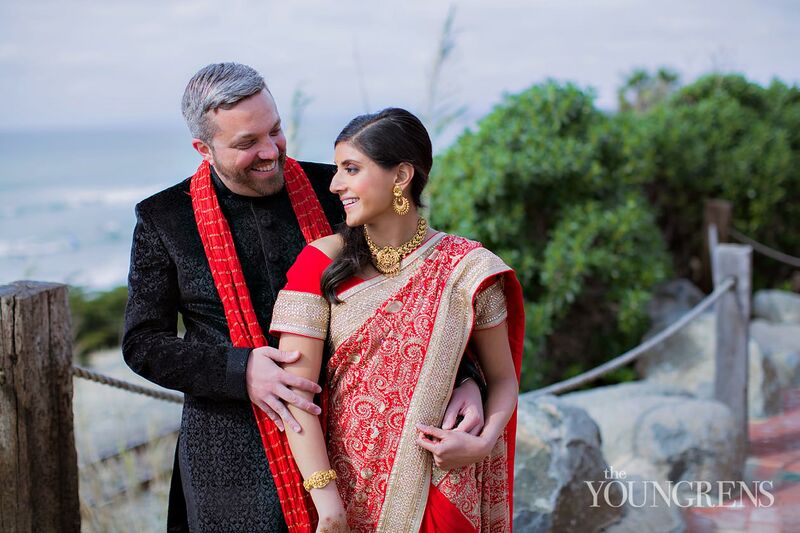 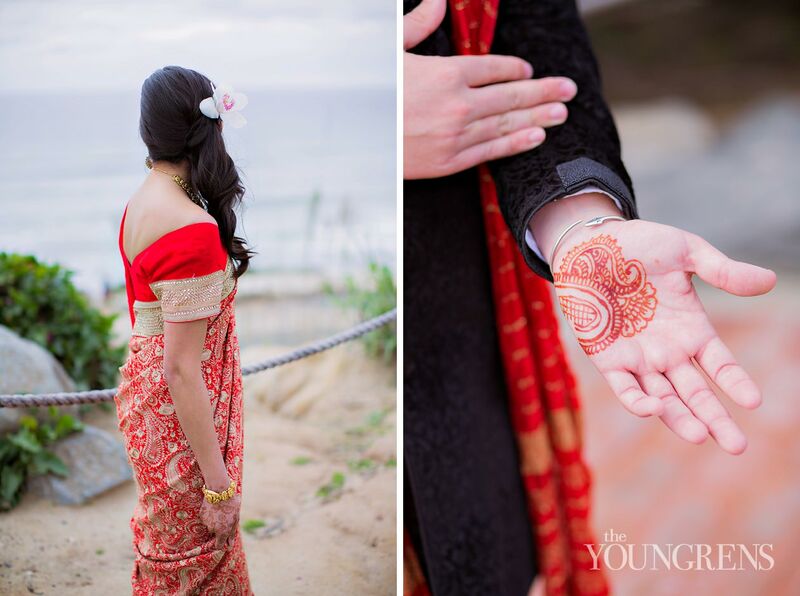 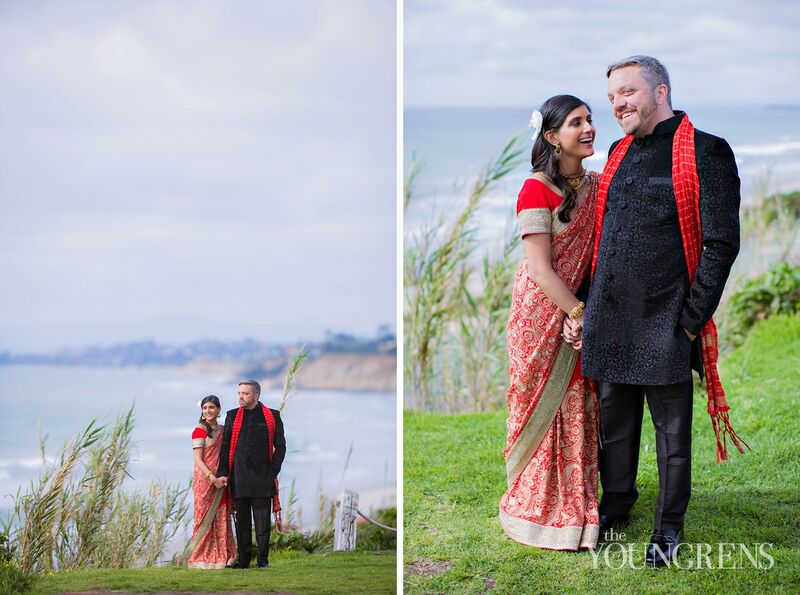 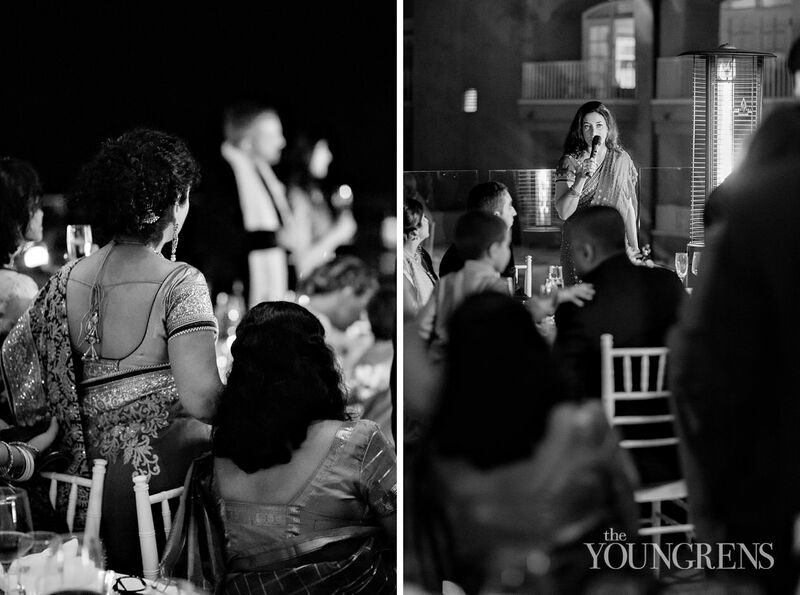 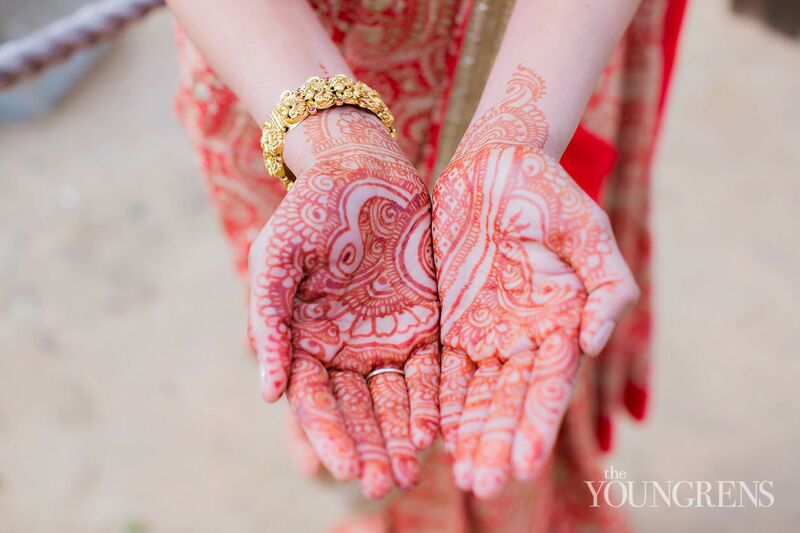 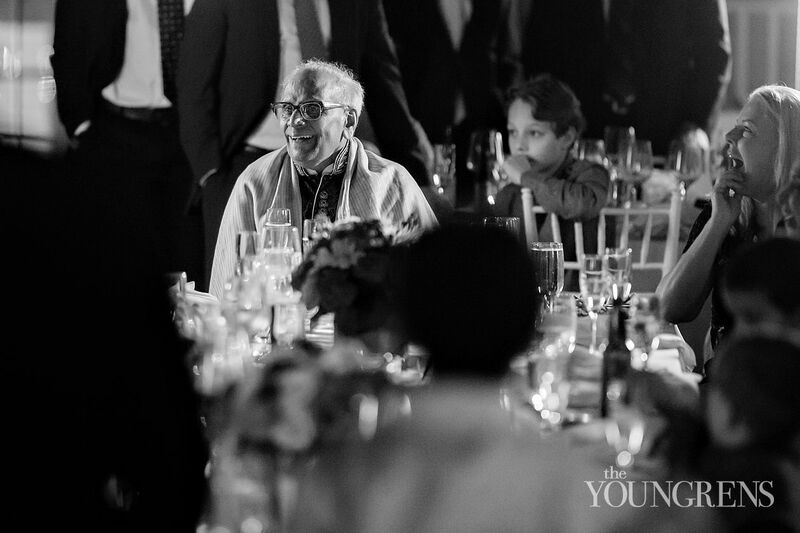 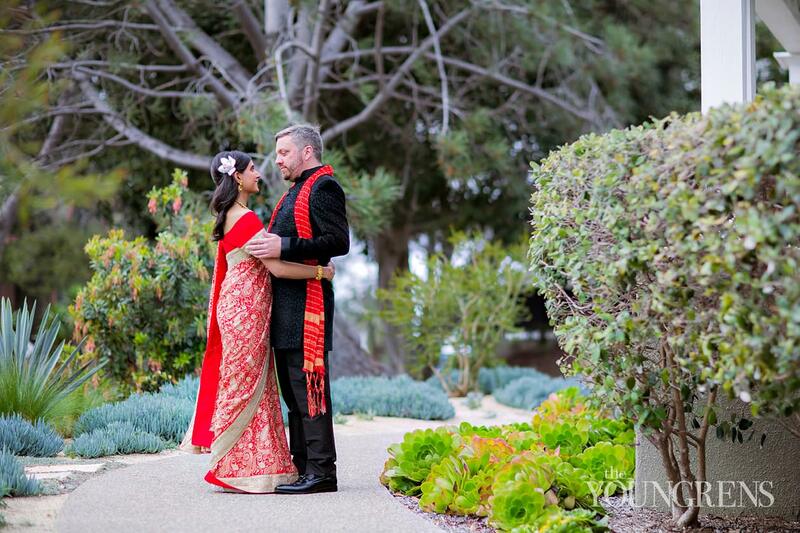 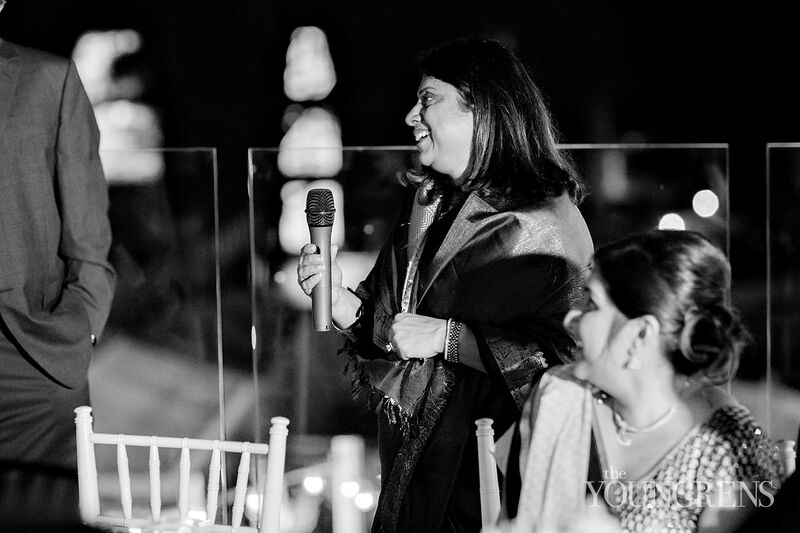 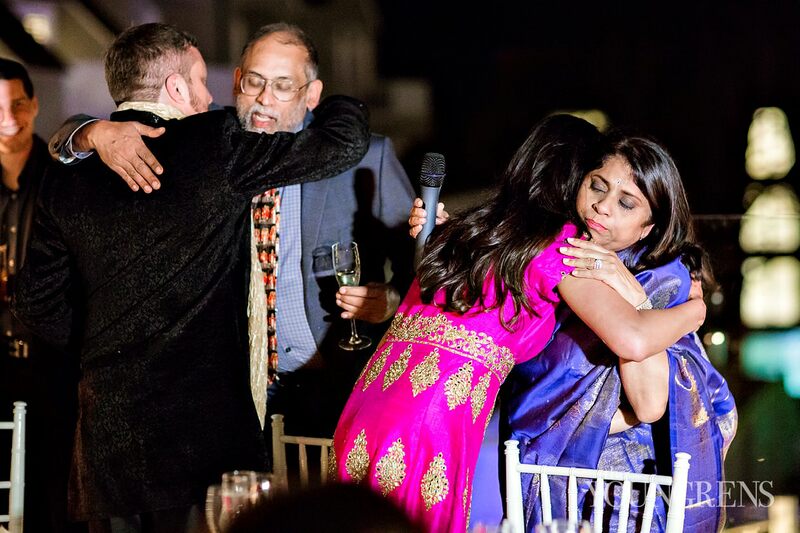 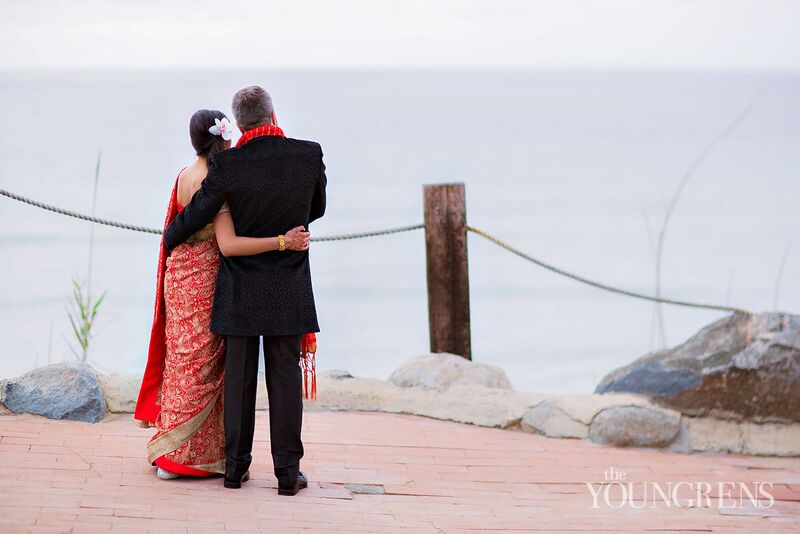 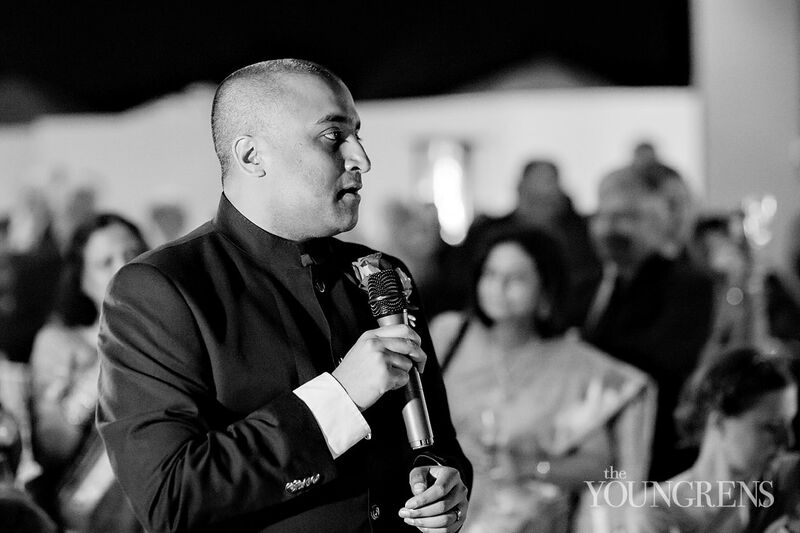 Travis and Swathi's Indian wedding at L’Auberge Del Mar lived up to everything I love about traditional weddings! 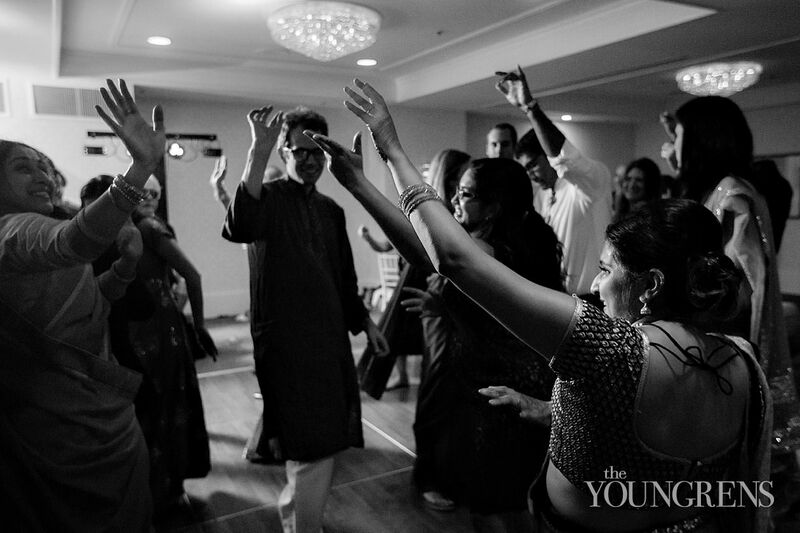 The significance, the history, the legacy - all of it came through with flying colors. 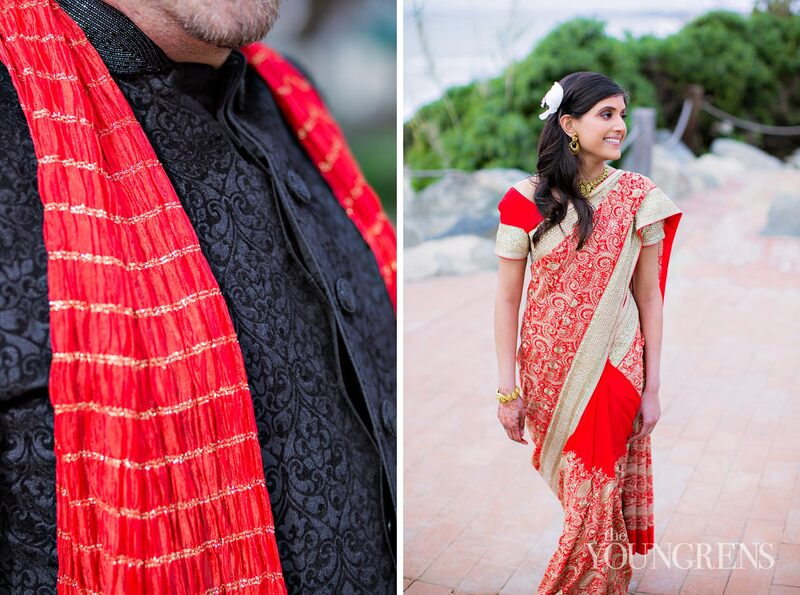 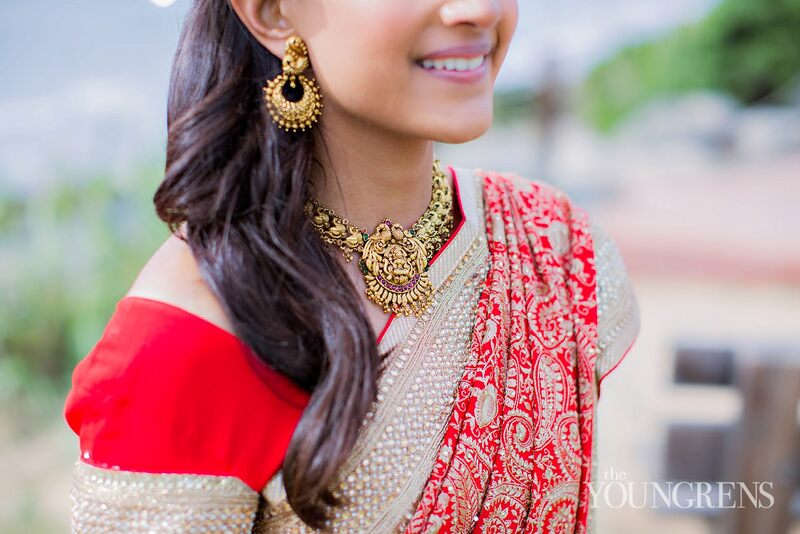 And by that, I mean gorgeous, bright, Indian wedding colors! 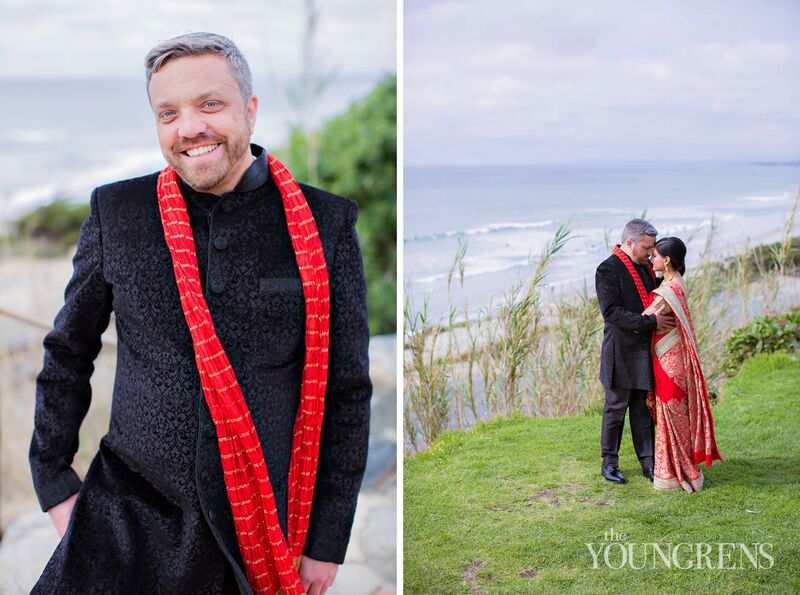 !Travis and Swathi's friends and family from all over the world showed in the abundant sari's and showered these two with love - literally! 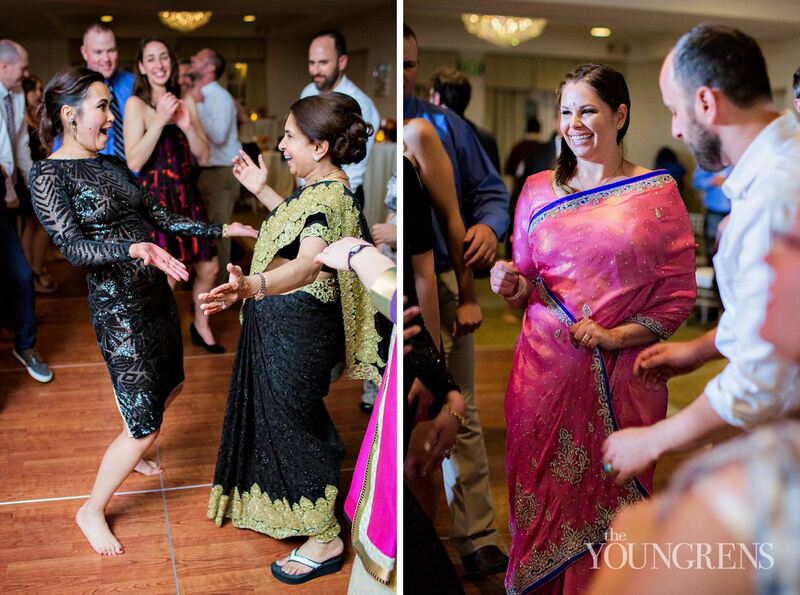 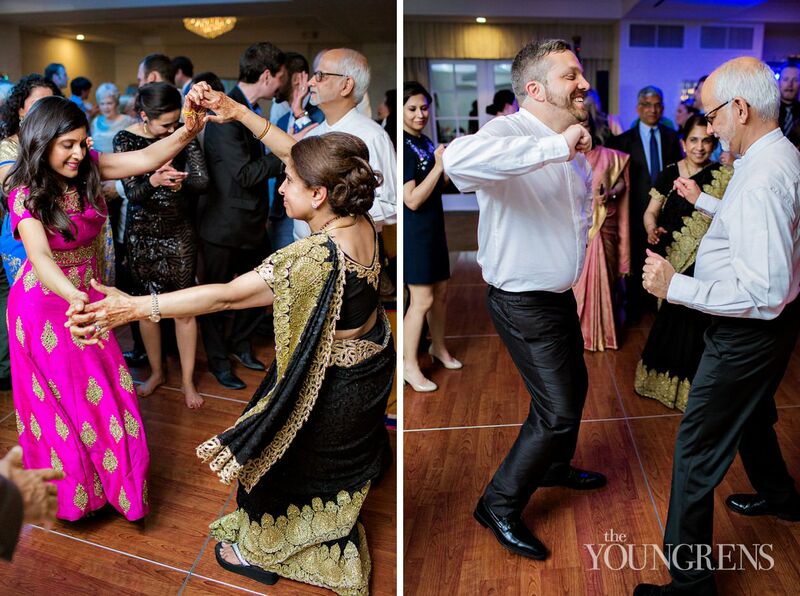 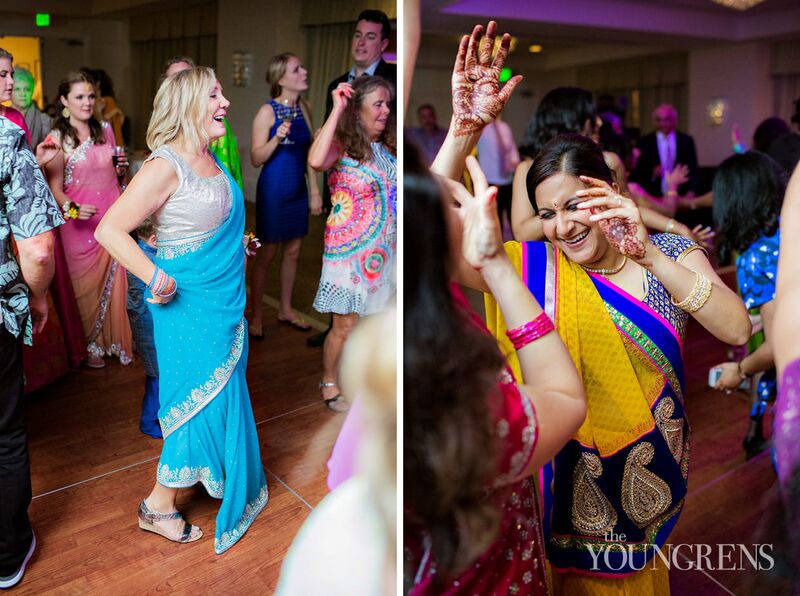 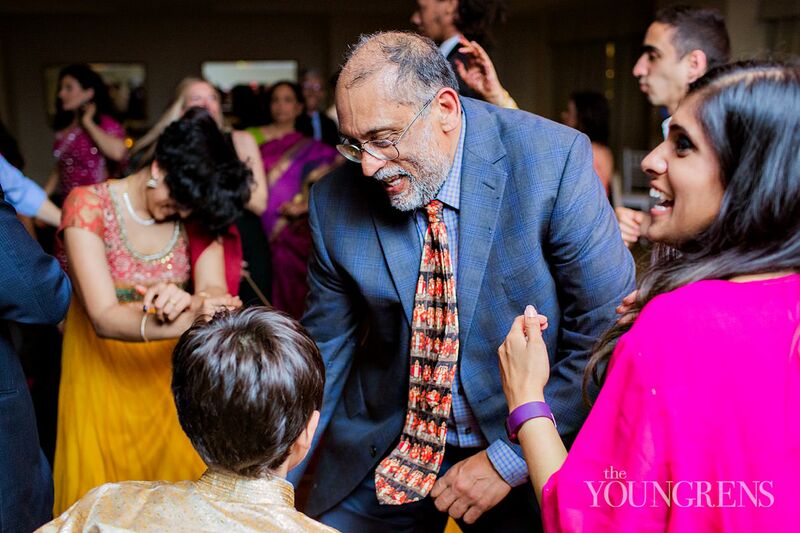 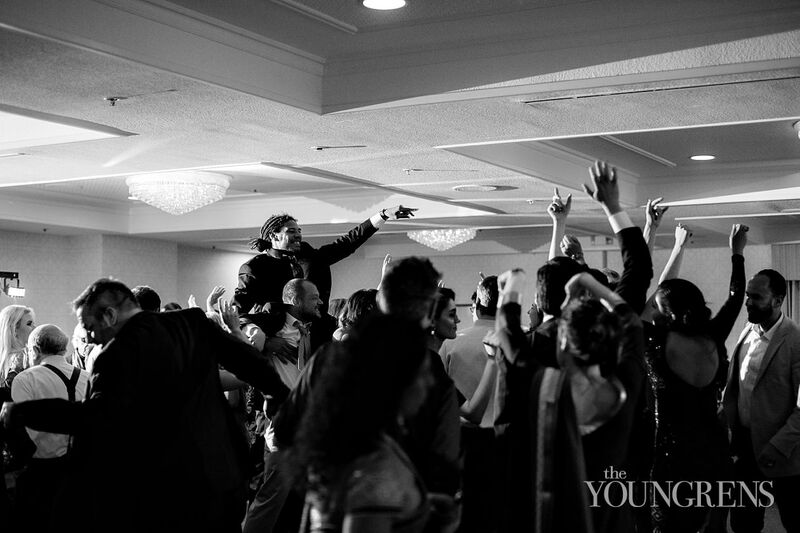 They showered them with flower petals and blessings, and then they danced and celebrated the night away! 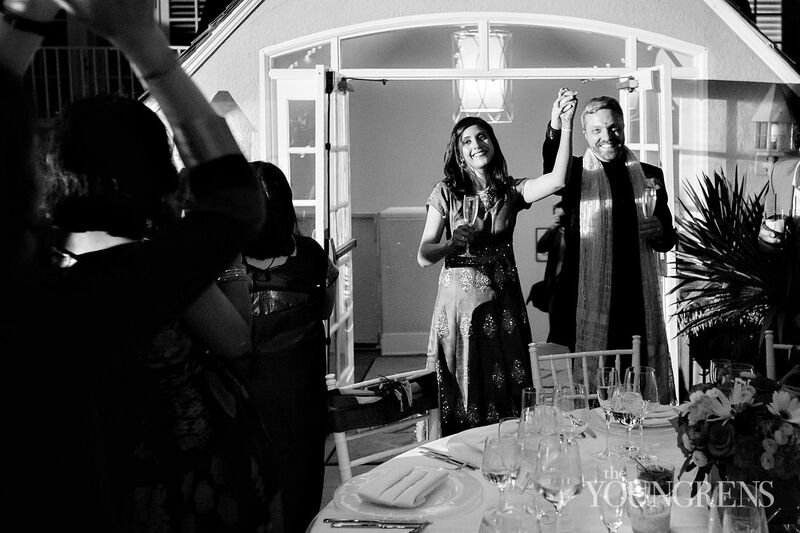 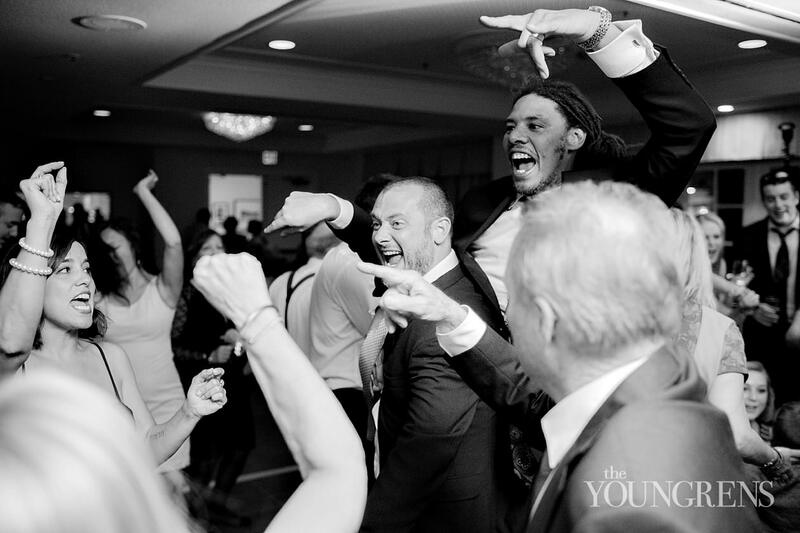 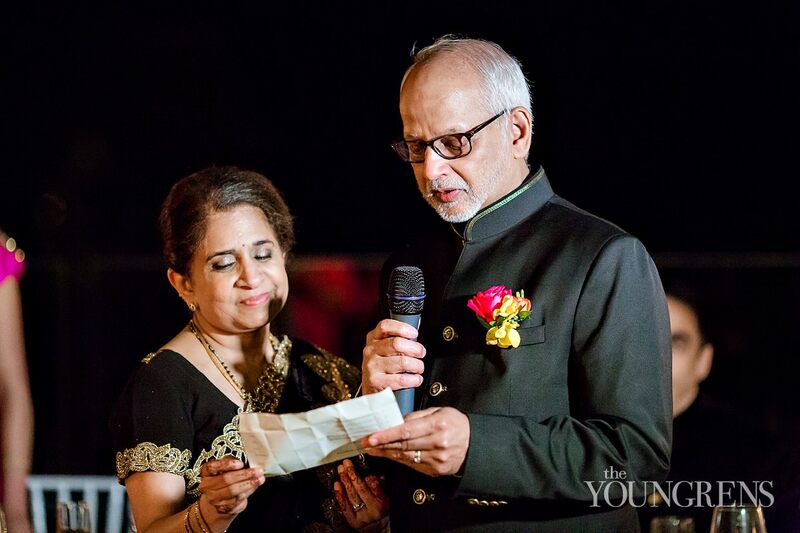 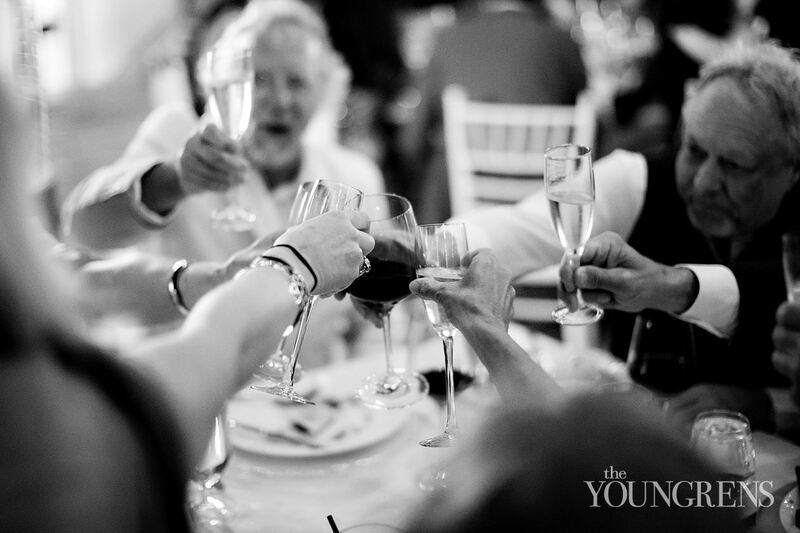 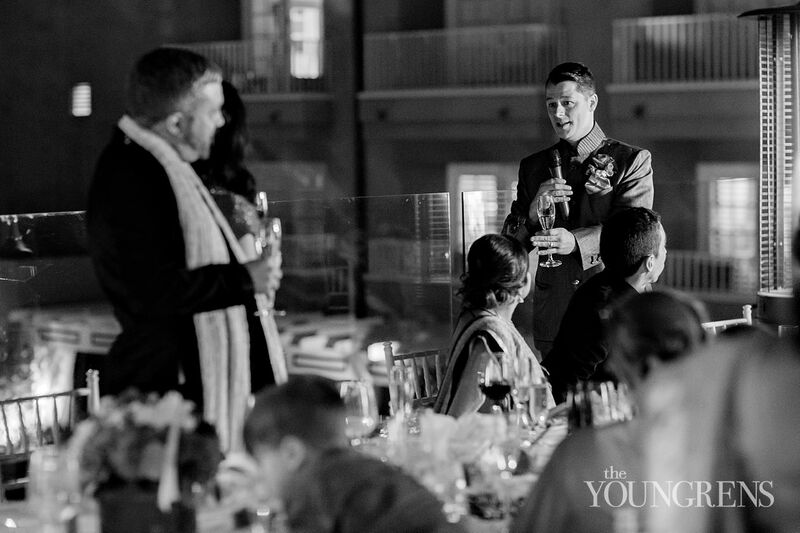 (Check out Part One of their wedding to see the amazing ceremony moments! 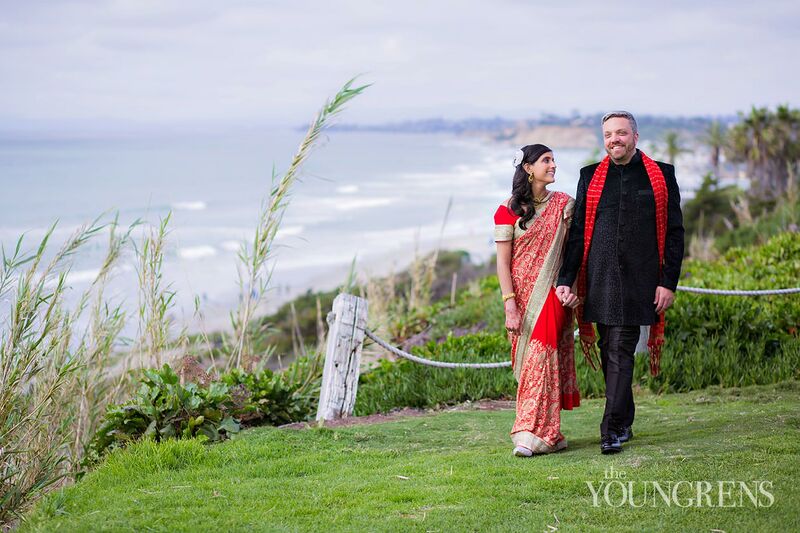 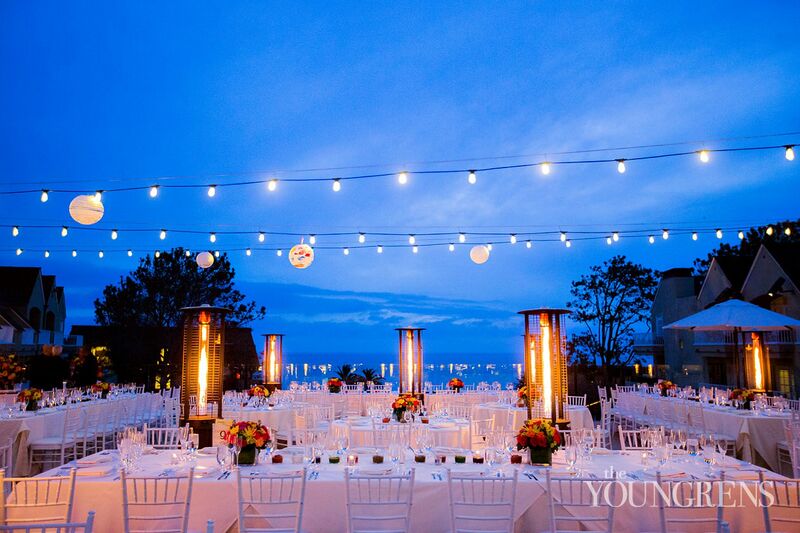 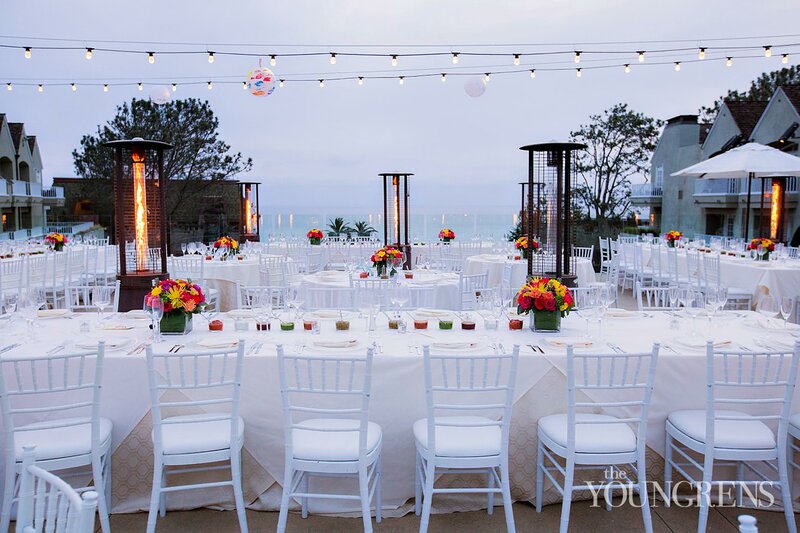 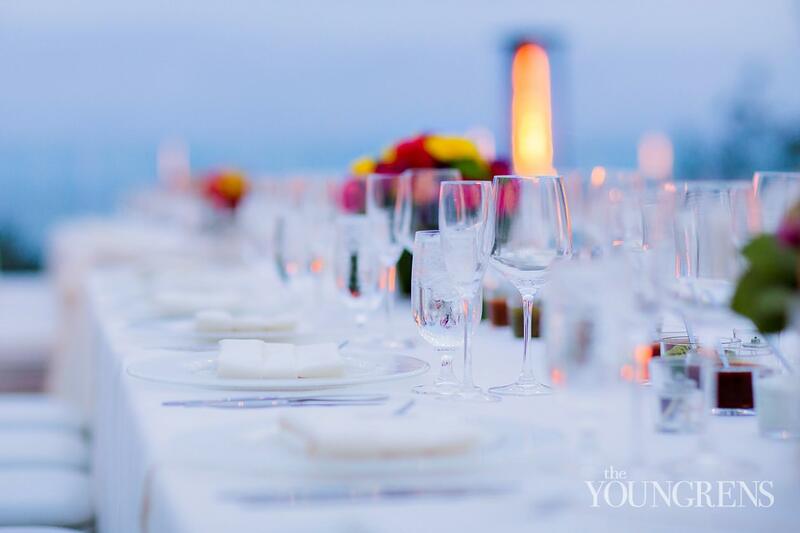 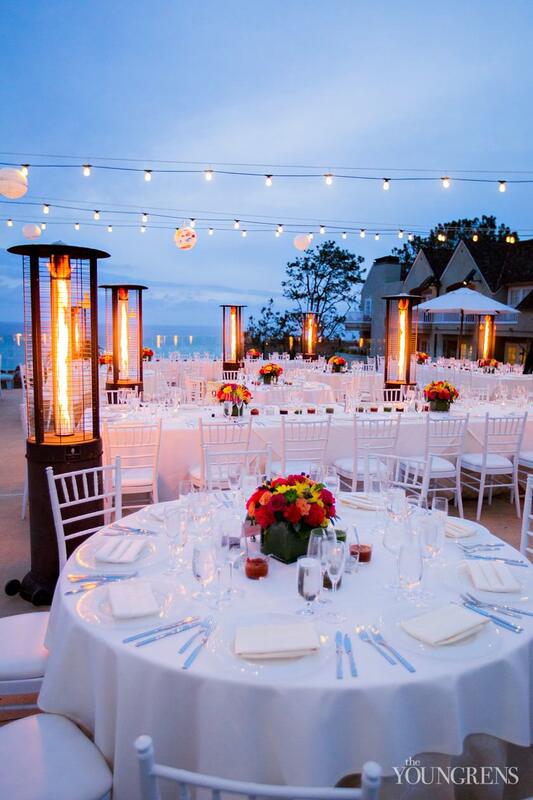 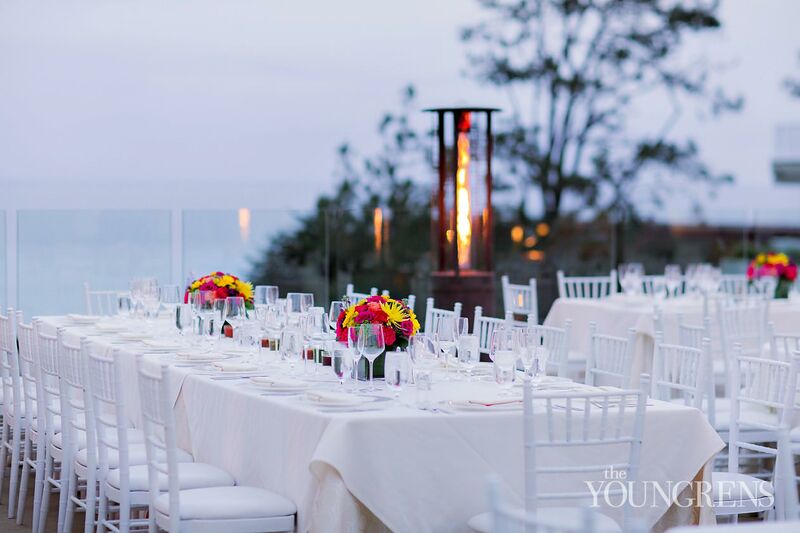 )After the Hindu ceremony at Seagrove Park overlooking the breathtaking Pacific, the real celebration began at L’Auberge Del Mar. 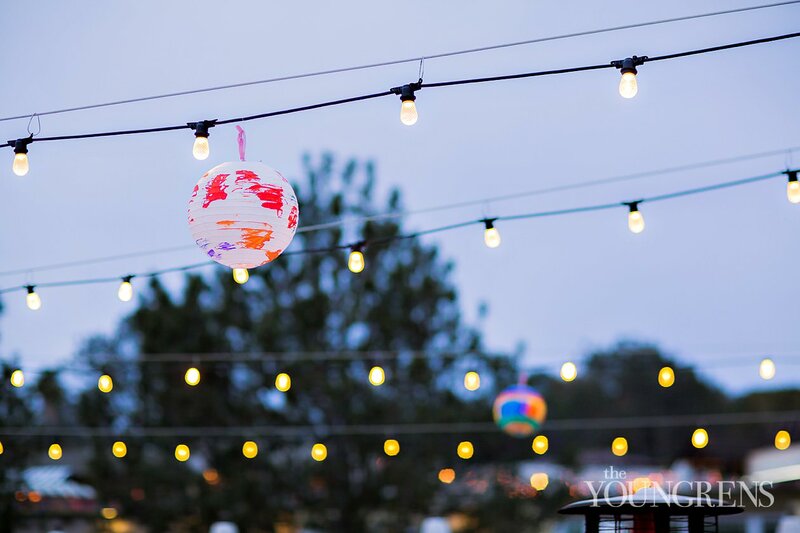 I'm seriously in love with all of the beautiful details and moments, including the paper lanterns that Travis and Swathi had their nieces and nephews decorate for the decor! 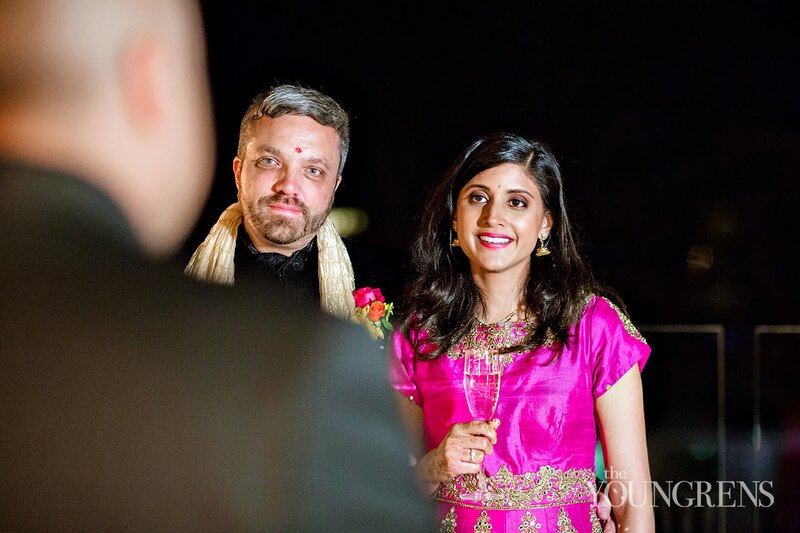 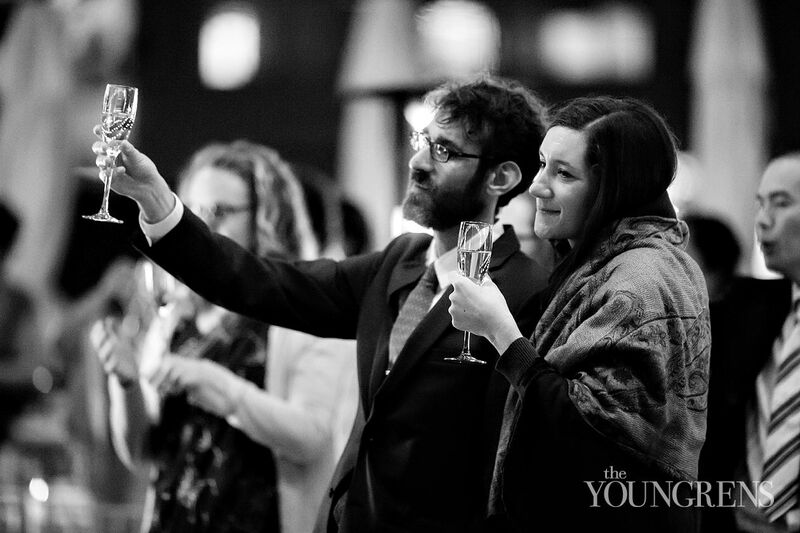 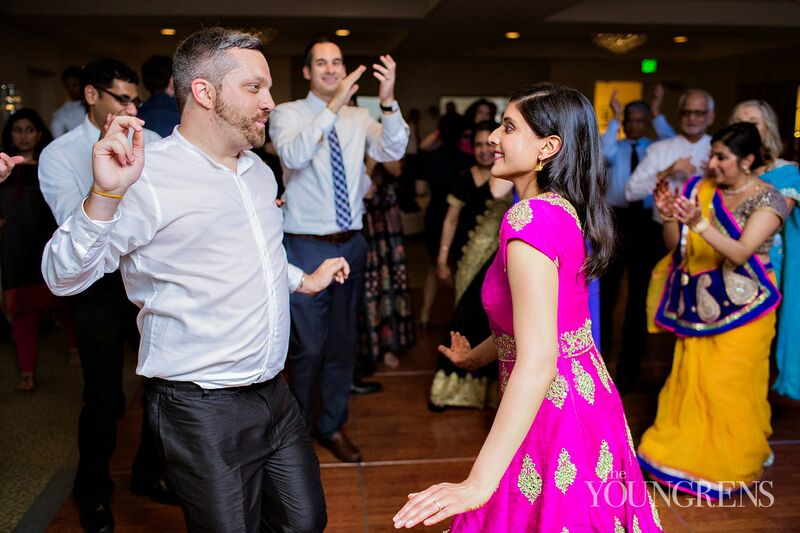 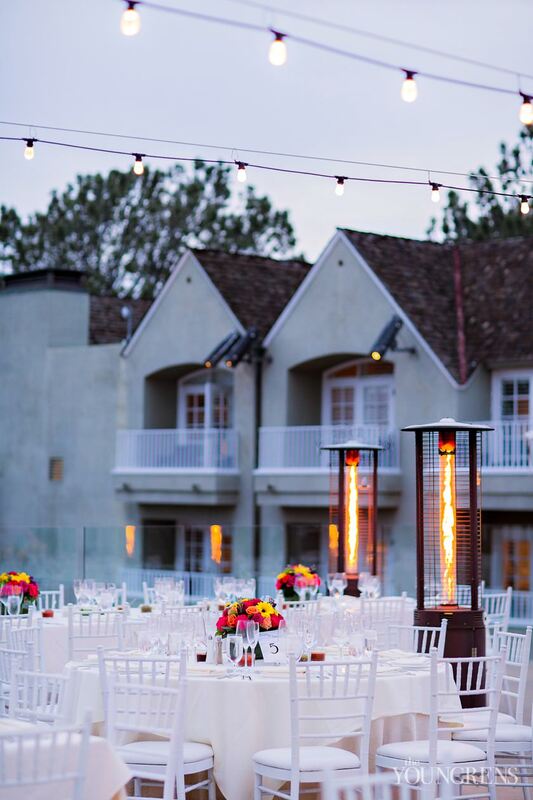 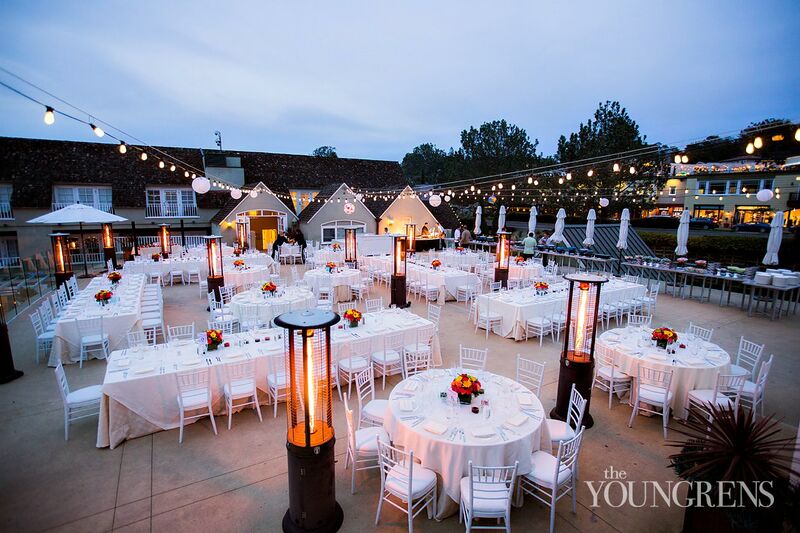 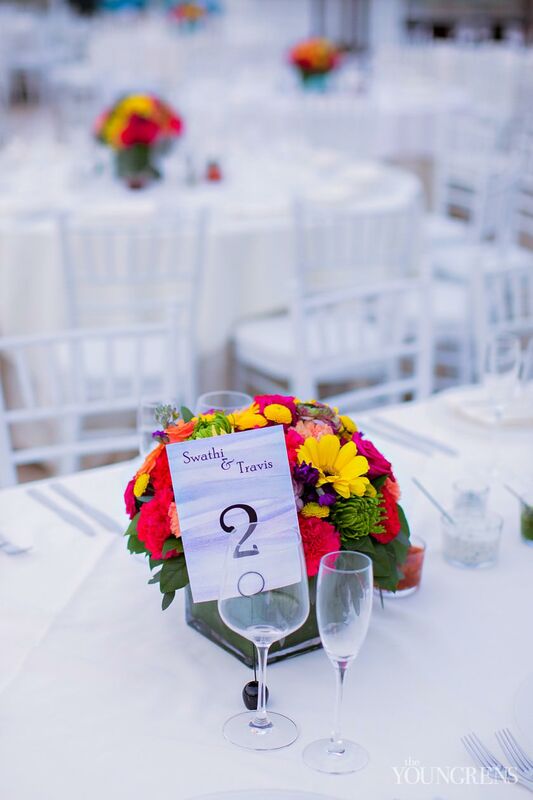 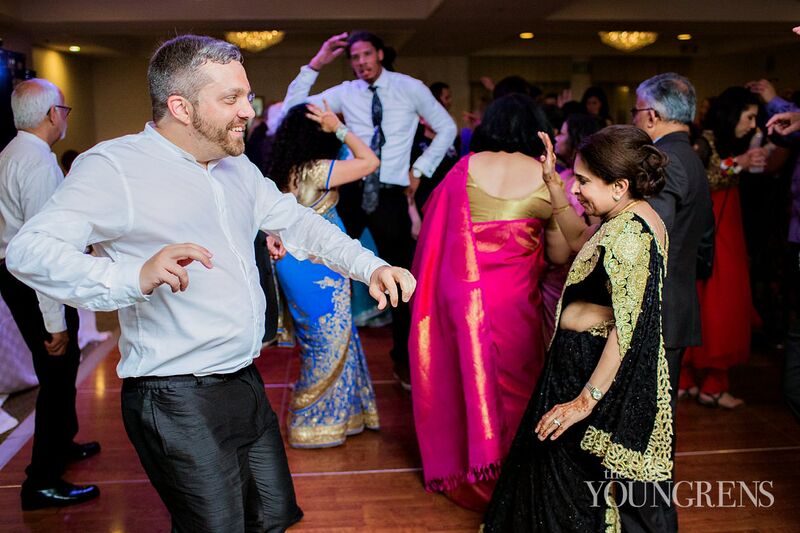 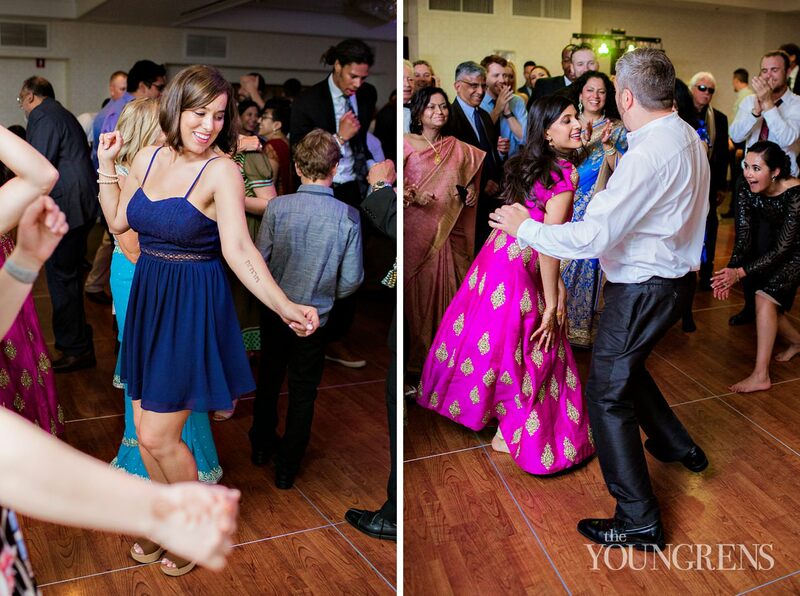 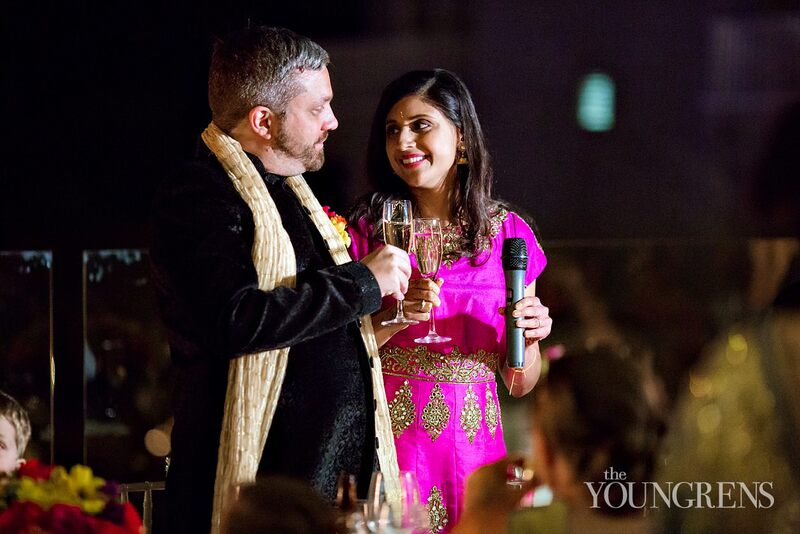 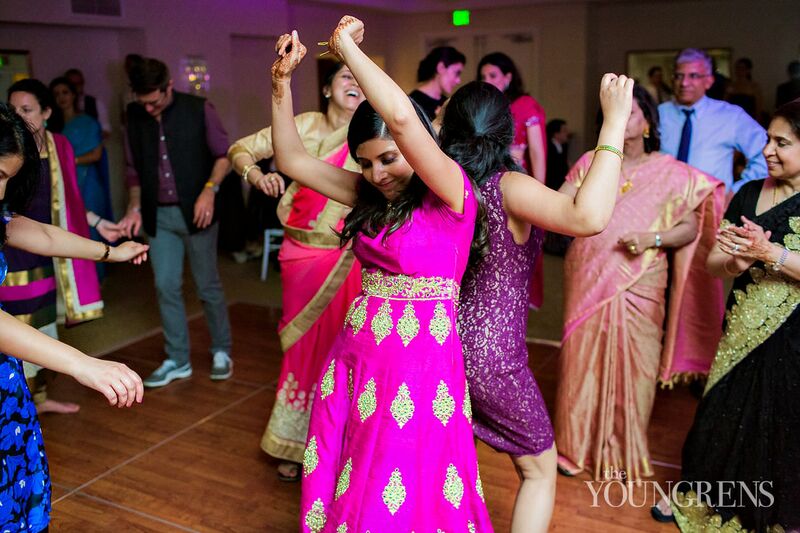 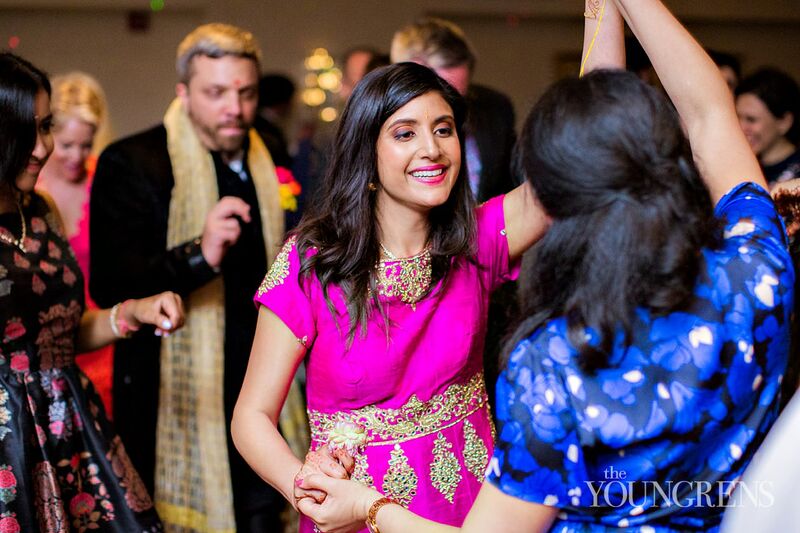 SO cute!A big thanks goes out to JUNA Beauty and Choukri Salon for making Swathi look so downright gorgeous, Michael Tiernan of Still Listening Productions for the best dance party ever, and to Cedar and Pine Event for the incredible ceremony decor!